GitHub - navisecdelta/EmailGen: A simple email generator that uses dorks on Bing to generate emails from LinkedIn Profiles. 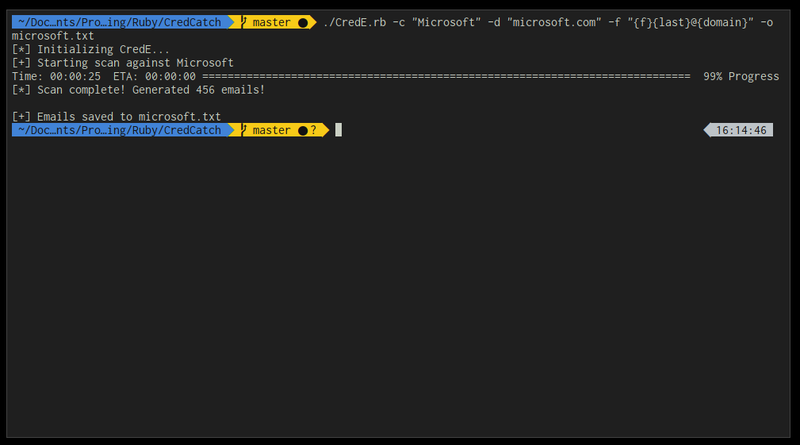 A simple email generator that uses dorks on Bing to generate emails from LinkedIn Profiles. Want to be notified of new releases in navisecdelta/EmailGen? In our research, bing is very liberal when scraping with mechanize. Using well-known google dorks, we can obtain all the names of employees at a company and using a predefined email format, we can mould these into valid (usually) email addresses.